It's not the monkey socks—though they have been worked on! Right now, they are awaiting contrasting colored toes and heels. The foot--measured from the row of waste yarn, is just over 5.5 inches. Toe and heel will add the just over 3 more inches—and bring the length to the required 9 inches of foot. I still haven't done any work on the finishing—so there is that to do too. 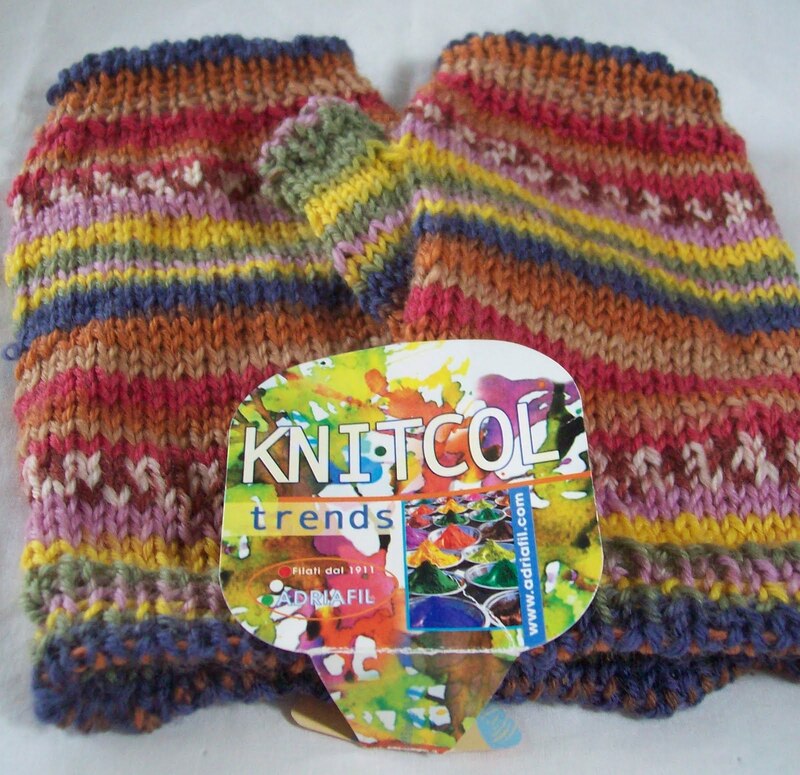 But—as is want to happen-- some yarn jumped into my hands, and demanded to be knit. 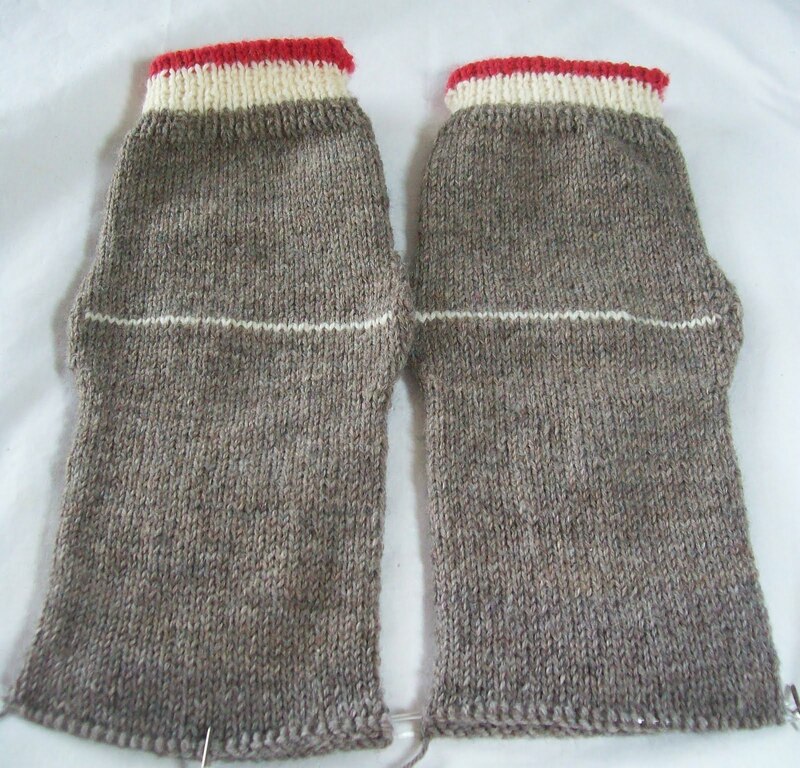 So 24 yours later—a quick and simple pair of fingerless gloves. The yarn is Adriafil Knitcol Trends--I got 2 skeins last year from someone who knows I knit (they were left behind, and had sat in lost and found for 90 days, unclaimed, and where about to be tossed). After dividing the yarn so I could have matching stripes, and knitting, I have a few yards left—maybe a quick simple hat in a solid wool and a contrasting cast on of the left overs. So that's it! Some almost socks, and some fingerless gloves.